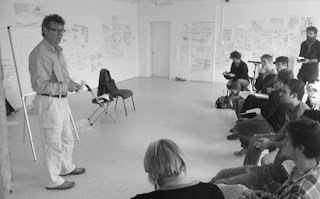 Co-design4... is a series of inter-connected workshops facilitated by Alastair Fuad-Luke. The co-design loop's three pronged strategy which focuses on experiencing, problamatising and solutioning will be used to nurture collaborative exchanges. Co-design means 'designing together' therefore multi stakeholder and interdisciplinary action will be facilitated to develop holistic practice. There are 8 scheduled workshops with workshop 9 FREE to any participants in attendance to the previous workshops. Student rates are available.